Sassy Feet line dance team members Sylvia Proctor, Sue Hodge, Kathy Elmore, BJ Woodall, Mary Braswell, Joyce Ennis, Della Gullatt, and Kay Oliver. 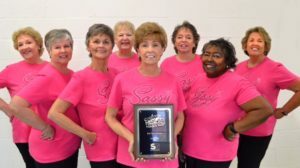 In January, Harrison Center for Active Aging’s very own “Sassy Feet” line dance team placed as the First Runner-Up in the nationwide contest produced by Seniors Guide 2017; “Seniors Got Talent”. 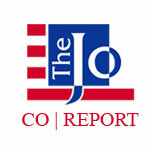 This is an annual online video contest showcasing talented seniors from across the United States. Winners are determined by on an online voting system. Sassy Feet has been dancing together for 3 years and has won Johnston County Senior Games on two occasions. In 2017, they won gold medals in Performing Arts with a jazz routine. 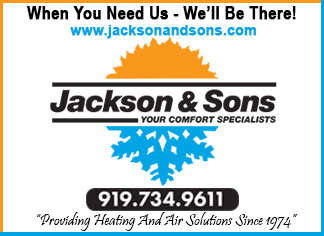 Sassy Feet represented Johnston County and the Harrison Center for Active Aging at the NC Senior Games. Their routine earned them First Runner-Up in the nationwide contest.